Returning guest Mickey Trescott joins us to share an action plan for recovering from autoimmune disorders, focusing on a do-it-yourself approach that takes into account the key areas that make the most impact on your health. Mickey outlines some of the steps that helped her recover for those embarking on their own healing journey. Addressing the areas of diet, critical lifestyle changes, and working with medical professionals, this action plan gives you what you need to begin to improve your health today. A continuum of dietary changes from removing gluten to a full elimination diet can begin your recovery. Managing stress in your life, improving your sleep, and incorporating more movement strengthen your ability to heal. Finally, finding the right medical professional to guide you through any testing and medications you need provides important support to get to the underlying causes. Most important is to assess where you are in each area and decide on the goals that will work for you. 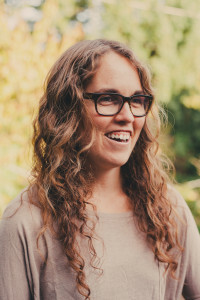 Mickey Trescott is the cook and blogger behind the website autoimmune-paleo.com, which provides recipes and resources for the autoimmune protocol. After recovering from her own struggle with both Celiac and Hashimoto’s disease, adrenal fatigue, and multiple vitamin deficiencies, Mickey started to write about her experience to share with others and help them realize they are not alone in their struggles. She is a certified Nutritional Therapy Practitioner by the Nutritional Therapy Association, and is the author of The Autoimmune Paleo Cookbook, a guide and recipe book for the autoimmune protocol. Mickey is also the nutrition advisor for Hashimoto’s Awareness, a support and advocacy organization for autoimmune thyroid disease. She recently moved to the Willamette Valley, Oregon to start a homestead with her husband. Mickey talked about amber glasses as an aid to sleep.Here’s one option: Uvex S0360X Ultra-spec 2000 Safety Eyewear, Orange Frame or find others here. Transparency Tip: Links are Amazon affiliate links. If you missed it, on her previous episode, Mickey offered a two-week AIP meal plan. It’s a great way to get started or find some new ideas. All recipes included in the plan are on her website. Autoimmune Protocol Diet, hashimoto's, lifestyle, movement, sleep, stress relief. Bookmark.